Extensive experience assisting international clients to establish new business and legal residence in the U.S. The Piquet Law Firm is a Florida based law firm rendering legal services locally and internationally in many areas of the law, including real estate, corporate, tax, immigration and litigation. We have extensive experience assisting clients from Brazil and other countries in Latin America and Europe, who have established or are willing to establish business or residence in the United States. At Piquet Law Firm we ensure that all of our clients’ concerns are personally addressed in a timely fashion and we focus on building long term relationships. Our clients feel comfortable knowing that their legal matters are handled by a reputable law firm who produces favorable results for each client. Our staff is both ethnically and culturally diverse and well suited to provide advice and services in variety of languages, including English, Spanish, Portuguese and German. The Piquet Law Firm is a Florida based law firm rendering legal services locally and internationally in many areas of the law, including real estate, corporate, tax, immigration and litigation. Below you will find a list of services that our firm offers. If you have any questions or concerns regarding our services, feel free to contact our office at 786-558-8054 and one of our staff members will answer your questions. Piquet Law Firm’s attorneys provide legal counseling and representation for the many phases of mergers and acquisitions including analysis, negotiation, due diligence, document preparation, financing and transaction closing. We identify the unique, relevant issues in each transaction and provide prompt, thorough, fact-based insights to assist our clients in making sound business decisions. Every transaction is different and each client has specific goals. We work closely with our clients to determine their particular objectives and structure each transaction to accomplish those goals while maximizing value. For each transaction our firm will perform business-focused solutions for company profiling, deal negotiation and strategy, merger strategy, deal negotiation and structuring and merger strategy. 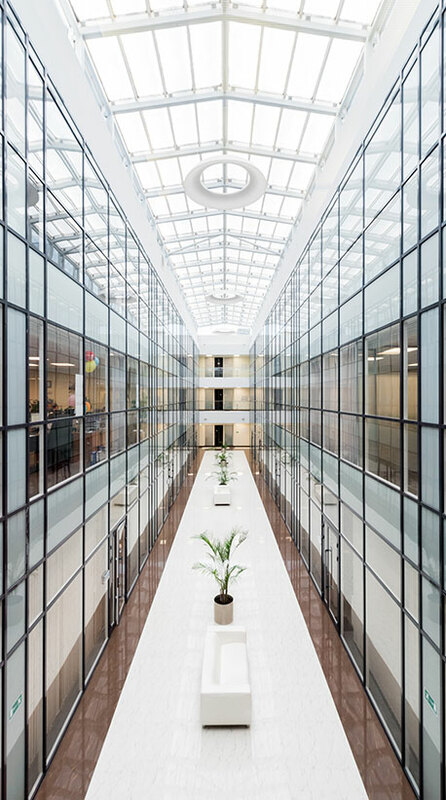 Our firm’s goal is to utilize our extensive market knowledge to structure a deal that will allow our client’s company to grow, excel and maximize profits. Our real estate practice includes legal counseling and representation in all matters involving residential and commercial real estate, including: sale, purchase, financing, refinancing, as well as issues involving Condominium and Homeowner Associations. We act as outside counsel for financial institutions, mortgage companies, and foreign banks with offices and branches in South Florida. Additionally, our firm represents buyers and sellers during the entire closing process. Whether it is a commercial or a residential closing, our experienced real estate team of attorneys and paralegals will assure adequate representation for all of our clients. Piquet Law Firm provides legal counseling and representation in all aspects of corporate law for both our domestic and international clients. Piquet Law Firm provides legal counseling and representation in all aspects of corporate law for both our domestic and international clients. Whether our client requests to establish a corporation, limited liability company, partnership, or trust as a domestic or offshore entity, our professional staff deftly guides each client on the best way to incorporate and which type of entity will maximize their profits and reduce unforeseen costs. Regardless the size of our client’s corporate entity or stage of development, our firm strategically assists each client with an array of corporate concerns that include negotiating deals for merger and acquisitions, joint ventures, international and domestic restructuring, and cross-border partnerships. Our team of attorneys also prepares documents such as operating, buy-sell, and dissolution agreements that will aid in all of our client’s corporate operations. Our firm’s goal is to adequately address and find a solution our client’s legal concerns so that our client is able to focus on the growth and success of their company. Our tax law practice focuses on providing fiscal planning as part of corporate structuring, offering legal counseling and representation on issues relating to local and national tax laws and regulations. We also represent clients in disputes with the Internal Revenue Service (IRS) and the Florida Department of Revenue. In the international front, we have experience assisting business owners and investors with asset protection planning and structuring for both foreign business owners and investors willing to invest in the United States and clients in the Unites States willing to investing overseas. Piquet Law Firm offers tax advice in the areas of real estate, litigation, corporate and other commercial transactions. In addition to providing direction for our domestic clients, we help our non-resident alien clients understand the importance of double taxation and recognizing that a non-resident alien is usually subject to U.S. taxation only on their U.S. source of income. For the convenience of our clients, we work closely with an independent tax accountant that will provide additional advice on all of our clients’ tax concerns. We provide a full range of legal advice to the aviation and aerospace industries. Our immigration law practice provides a full scope of U.S. Immigration law services. In this area, we are highly experienced assisting businesses with the crossborder movement of their executives, managers, and technical personnel. Our immigration law practice provides a full scope of U.S. Immigration law services. In this area, we are highly experienced assisting businesses with the crossborder movement of their executives, managers, and technical personnel. We also have extensive experience counseling and representing self-petitioning foreign nationals, including petitions for family members, investors, aliens of extraordinary ability, and specialized professionals. Our firm can also provide assistance with applications for work authorization, permanent residency, and naturalization. For the convenience of our foreign investors, our attorneys provide guidance on the intricacies of purchasing property or investing in the U.S. under the EB-5 category. It is commonly known that if you invest the minimum amount of US$1M in a U.S. business, or US$500,000 in a U.S. “Regional Center” or your own enterprise, and the enterprise creates a certain number of jobs, then the client may be able to obtain U.S. Permanent Residency under the EB-5 category. Our clients will be happy to know that the government grants 10,000 immigrant visas a year to qualified applicants under the EB-5 category. With the recent economic catastrophe, millions of individuals and corporations throughout the world have seen a reduction in a steady income flow. With the recent economic catastrophe, millions of individuals and corporations throughout the world have seen a reduction in a steady income flow. The only option for many is to cut overhead, diminish payments to creditors, liquidate assets, or even filing for insolvency or bankruptcy. During such times, we understand the importance of informing our clients of their rights and the ramifications of filing for bankruptcy. Piquet Law Firm offers domestic and international bankruptcy services for both consumers and corporate entities. Our law office represents clients in the matters of negotiation, mediation, bankruptcy filings, debtor’s and creditor’s proceedings, foreclosure prevention and proceedings, and asset-recovery services. Piquet Law Firm teams with professional consultants, forensic accountants and financial investigators to provide limitless solutions for each and every client. Piquet Law Firm provides transnational litigation for multifaceted contractual and business disputes for our international client base. Piquet Law Firm provides transnational litigation for multifaceted contractual and business disputes for our international client base. 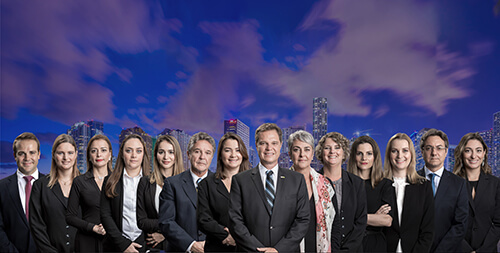 Our firm is staffed with multilingual attorneys that are licensed to litigate and arbitrate cases in Florida, New York, New Jersey and Brazil. No one anticipates appearing before a judge in order to determine the future of their family’s living arrangements. No one anticipates appearing before a judge in order to determine the future of their family’s living arrangements. Piquet Law Firm recognizes how sensitive family law issues are and this is the reason our attorneys work side-by-side with each of our clients throughout their entire family matter case. Our law office offers assistance with family legal issues covering: prenuptial agreements, divorce, child support, child custody, alimony and other family matters. For the convenience of our clients who are unsure if they want to litigate their family issues before a judge, we offer alternative dispute resolution procedures such as mediation. Many of our clients were married outside of the U.S., has an ex-spouse that is currently located outside of the country, or are unable to even find their ex-spouse. Despite your family matter issue, our team of experienced attorneys will develop a legal strategy that will allow our firm to reach a reasonable settlement agreement. The services provided by Piquet Law Firm are further optimized by our relationship with other prominent professionals and consultants. The services provided by Piquet Law Firm are further optimized by our relationship with other prominent professionals and consultants. This guarantees fast, reliable, and accurate solutions in matters requiring interdisciplinary collaboration. Our mission is to deliver customized and differentiated legal services based on loyalty, commitment, and dedication to our clients. Additionally, Piquet Law Firm forms alliances with prominent companies throughout the world. If you are interested in working with Piquet Law Firm as an alliance member, contact our office at 305-350-5647. Piquet Law Firm vigorously defends both our domestic and international clients in Criminal Law matters. Piquet Law Firm vigorously defends both our domestic and international clients in Criminal Law matters. We work hard to ensure that when our client has a run-in with the law; our client is informed of their rights and the best options for their future. Piquet Law Firm defends clients in the matters of DUI offenses, Misdemeanors, Traffic Crimes, White Collar Crimes, etc. Additionally, we represent international clients who face deportation due to a criminal infraction. Our staff works closely together so that our clients receive adequate representation during the time of arrest until the end of trial. We also work aggressively to gather and present all pertinent facts of the client’s case so that our client is able to have a fair proceeding and/or trial. Mr. Alexandre Piquet is an internationally renowned attorney with over twenty years of legal experience providing comprehensive solutions for clients in the areas of cross-border international business transactions, as well as business, corporate, real estate, and immigration law in the United States. Mr. Piquet is the founder of Piquet Law Firm, P.A. – a boutique law firm established in South Florida, which has become reference for international clients interested in investing, doing business, and/or immigrating to the United States. Academically, Mr. Piquet holds a Bachelor’s Degree in Law from Milton Campos Faculdade de Direito in Brazil, a Juris Doctorate Degree from Saint Thomas University Law School in the United States, and has attended extended International and Comparative Law Courses at Universidad Maria Cristina in Spain. In addition, he has acted as Assistant Professor at Saint Thomas University and as a Portuguese Instructor to the Special Forces at the United States Airforce. Throughout his career, Mr. Piquet has participated in numerous prestigious national and international organizations, including being a licensed Member of the Florida Bar, Member of the American Bar Association, Member of the American Immigration Lawyers Association (AILA), Member Saint Thomas University Law Review, Director of the Board of the Brazilian-American Chamber of Commerce of Florida, President of the Miami Advisory Counsel of the BrazilFoundation, Member of the Rotary Club of Coral Gables, Member of the Lawyers of Distinction, Member of the Kids in Distress Young Professional’s Group, and Member of the Counsel of the Lide USA1. In addition to his impressive legal career, Mr. Piquet is an accomplished writer in his field, authoring works such as the book “Investindo na América” in 2015 and he and his work have been featured in prominent national and international publications and media channels, including Veja, Exame, Istoé, Folha de São Paulo, and Jornal do Brasil, among others. In recognition for his brilliant career, Mr. Piquet has received several honors and awards, including Certificates of Appreciation from the Brazilian-American Chamber of Commerce of Florida (2014, 2015, 2016, and 2017), Immigration Lawyer of the Year Award (2016), Certificate of Appreciation – Associacao Comercial do Parana, Business Press Award (2017), and Lawyers of Distinction Award (2017), just to name a few. Support a large International Commercial Group, engaged in sourcing, marketing, and worldwide distribution of dairy products with the temporary relocation of key international executives into the United States. This company is a multinational organization with 16 offices worldwide and presence in countries in every continent. The company’s worldwide operation is currently supported by over 230 employees. Support the largest shipyard in Brazil with its international expansion plans into the United States, including corporate structuring, contract drafting, review, and negotiation, and immigration support in the transfer of international executive. Support famous Brazilian restaurant chain with its international expansion into the United States, including corporate structuring and contract drafting, review, and negotiation. Support one of the largest airlines in Brazil developing a complex Training Program for its U.S. Operation to support the company’s the professional development of the company’s international employees from its U.S. offices. 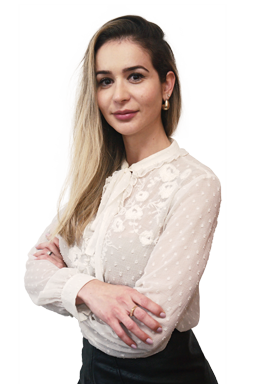 Mrs. Andion Piquet joined our firm as Head of our Aviation Law practice group and to support our Commercial and Corporate Law divisions. Mrs. Andion Piquet has served as Senior In-House Counsel for Embraer, an aerospace multinational company and one of the largest aircraft manufacturers in the world, which often required working with clients located in other areas of the globe on issues involving cross-national law and interdisciplinary matters. During her seven years of experience with Embraer, she gained extensive experience in aviation matters, including matters involving aircraft registration, aircraft ownership, trustee services for foreign ownership of U.S. registered aircraft, representation of fixed base operators and other airport leases and land use/development, aircraft sales, charters, and leases, aircraft product support agreements, warranty claims and other transactions with aircraft manufacturers, as well as FAA and DOT regulatory compliance. 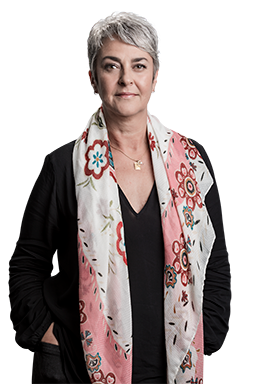 Mrs. Andion Piquet also has extensive experience supporting clients drafting, reviewing, and negotiating administrative and commercial agreements and corporate governance matters, including formation, mergers and acquisitions, registration, and filings. A Brazilian-American born in Rio de Janeiro, Mrs. Andion Piquet is fluent in Portuguese, English, and Spanish. – Participated in transaction structuring and document drafting, review, and negotiating for a $1 billion deal for the sale of 125 aircraft from Embraer to Berkshire Hathaway’s NetJets. – Participated in transaction structuring and document drafting, review, and negotiating for multimillion dollar deal for after sale product support by Embraer of 125 aircraft for Berkshire Hathaway’s NetJets. – Assisted Embraer setting up its first manufacturing plant in the United States, including assistance with all regulatory compliance matters. – Participated in transaction structuring and document drafting, review, and negotiating for joint venture between Embraer, a world-class aircraft manufacturer and CAE, a world-leading provider of aviation training solutions to develop a global training program for Embraer’s executive clients. – Participated in due diligence and viability analysis of cross border buy-sell structure. Alex B. Vanicek is an Of Counsel who obtained his Juris Doctor from St. Thomas University School of Law after earning a degree in International Affairs from the University of Colorado. Alex B. Vanicek is an Of Counsel who obtained his Juris Doctor from St. Thomas University School of Law after earning a degree in International Affairs from the University of Colorado. During law school, Mr. Vanicek excelled as a member of the school’s Mock Trial Team. In 2012, he led a team of four advocates, winning the championship for the Southeast Region at the American Bar Association’s Labor and Employment Trial Advocacy Competition. Mr. Vanicek’s team went on to compete for the National Championship in Dallas, Texas. Mr. Vanicek has served as a judicial intern for the Honorable Michael Genden, the longest-tenured civil judge in the 11th Judicial Circuit of Florida. He also served as an intern for the Honorable Carlos Samour of the 18th Judicial District of Colorado where he drafted orders and opinions for the court. Mr. Vanicek was awarded the St. Thomas University Pro Bono Commendation for his outstanding commitment to community service. He has spent thousands of hours volunteering for various organizations, including building Habitat for Humanity houses in Guatemala and Sri Lanka. For over nine years, Mr. Vanicek has worked and volunteered as a camp counselor at Adam’s Camp, a summer camp in the Rocky Mountains for children with special needs. 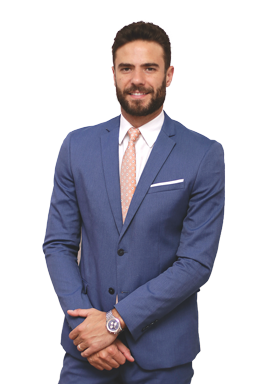 Born and raised in Denver, Colorado by his Brazilian-American family, Mr. Vanicek is fluent in English, Portuguese and Spanish. 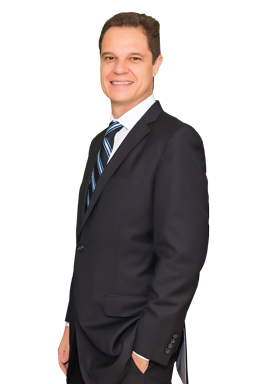 Dr. Luiz Flávio Paína Resende Alves has a Master’s in Business Law, specializing in Tax and Corporate Law. Specialist in Business Administration. Professor of Postgraduate Courses at the Brazilian Institute of Capital Markets – IBMEC. 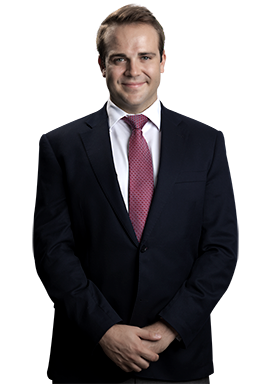 Dr. Luiz Flávio Paína Resende Alves has a Master’s in Business Law, specializing in Tax and Corporate Law. Specialist in Business Administration. Professor of Postgraduate Courses at the Brazilian Institute of Capital Markets – IBMEC. Member of the business council of legal affairs from the Commercial Association of Minas Gerais (ACMINAS), member of the tax law committee of OAB/MG and member of the Brazilian Association of Tax Law (ABRADT). Senior partner at Bedran Resende Alves Lawyers and Consultants. International Consultant for Piquet Law Firm in international tax planning and international contracts. Ms. Nunez holds a Master of Laws (LL.M) degree from Wayne State University, Detroit, Michigan. She also holds a Bachelor of Laws (LL.B) degree from Universidade Federal da Bahia in Brazil. Ms. Nunez holds a Master of Laws (LL.M) degree from Wayne State University, Detroit, Michigan. She also holds a Bachelor of Laws (LL.B) degree from Universidade Federal da Bahia in Brazil. Ms. Nunez has experience in Immigration Law, and has worked for government officials in Brazil. A Brazilian-Spanish born in Salvador, Brazil. Ms. Nunez is fluent in four languages: Portuguese, English, Spanish, and German. Mrs. Almeida was born in Rio de Janeiro, Brazil and she has been living in Florida since 1990. Mrs. Almeida overlooks Piquet Law Firm’s Corporate Department. Under the supervision of a staffed attorney, Mrs. Almeida assures that all corporations are formed according to state laws. Whether it is a foreign or domestic client purchasing property or incorporating for personal reasons, Mrs. Almeida walks the client through the entire incorporation process, from beginning to end, and answers all questions that the client may have while forming their corporation. Mrs. Almeida has earned a Bachelor’s Degree in Business Administration and has over fifteen years of experience in Immigration Law. Mrs. Almeida is fluent in English, Portuguese and Spanish. Francine Vitaliano was born in Ribeirão Preto, São Paulo, Brazil. 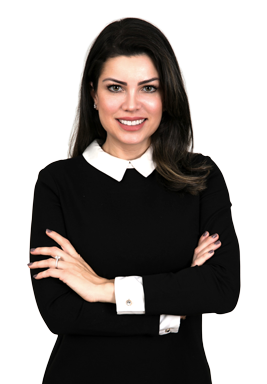 With more than 10 years of experience in Real Estate, she is responsible for all real estate transactions and acts as the closing agent and legal assistant for the firm, handling closings, title work, and ensuring that clients’ needs are met during the entire transaction process. She is also a registered Florida Notary Public. Ms. Vitaliano speaks English and Portuguese. Mrs. Isabel Rocha Silva holds a Master of Laws (L.L.M.) degree from University of Connecticut School of Law. She also holds a Bachelor of Laws (L.L.B) degree from Universidade Federal de Santa Catarina (UFSC). During law school Isabel interned at the Office of the Attorney General in Connecticut with the purpose of advancing the interests of State residents. Also, she assisted in defense of civil rights, medical malpractice and habeas corpus in federal and state courts and before executive branch administrative agencies. After graduating from UConn Law, she worked as a legal assistant at an international law firm in New York City, reporting to the senior partner and practice area leader of the Latin America Banking and Finance Group. 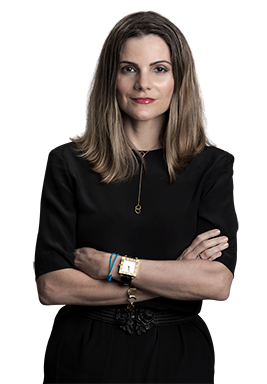 Isabel concentrates her practice in immigration law, including family-based and business immigration, citizenship law and removal proceedings. A Brazilian-American born in Salvador, Bahia, Brazil, Isabel is fluent in Portuguese, English and Spanish. By submitting this form your telephone number you are consenting for any and all authorized representatives of Piquet Law Firm to contact you even if your name is on the Federal Do-Not-Call List. The materials contained within the Piquet Law Firm website do not constitute legal advice and are intended for informational purposes only. The materials contained herein are not intended to be an advertisement and any unauthorized use of the materials is at the user’s risk. Reproduction, distribution, republication and retransmission of any material contained within this website is prohibited without the express written consent of Piquet Law Firm.